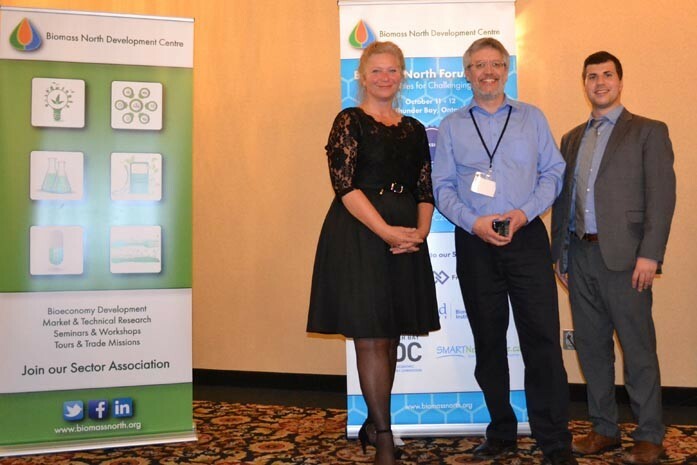 Resolute is considered a major champion of Northern Ontario’s forest bioeconomy. In the past six years alone we have opened a biomass pellet plant in Thunder Bay, advanced major biomass research projects with Lakehead University, FPInnovations and the Centre for Research and Innovation in the Bio-Economy (CRIBE). We have also developed ground-breaking agreements with seven First Nations in Ontario, including contracts for forest management and harvesting activities; delivery of wood-based products and biomass fuel to our operations; and, investments in Aboriginal businesses in the forest, biofuel and wildlife industries. 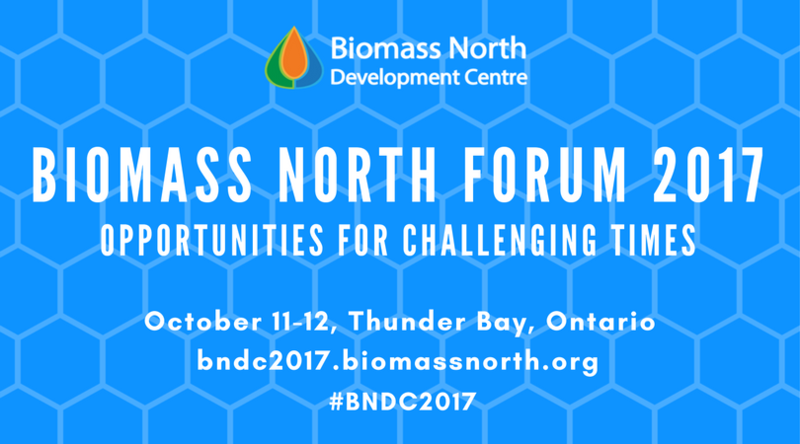 On October 11, our commitment to the sector was rewarded with an Industry Leadership in the Bioeconomy Award during Biomass North Forum 2017 – a two-day gathering in Thunder Bay exploring the challenges and opportunities facing the forest bioeconomy. 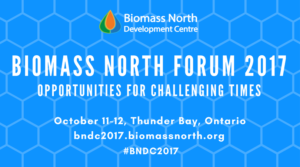 What is fueling interest in the burgeoning global bioeconomy? And what exactly is it? The bioeconomy is the opportunity to use renewable biological resources from land and sea – such as forests, fish, crops and micro-organisms – and convert them into energy, materials and food. Canada’s forests hold tremendous potential, with biomass resources available in roots, trunks and branches that can be converted into renewable bioenergy, biofuels and other bio-products that can replace fossil-fuel based products. If successful, the bioeconomy could promote sustainable production of renewable resources from land and sea, while growing new jobs and industries. Our Thunder Bay pellet plant, which turns waste sawdust from our lumber mill into wood pellets that are being used to generate (carbon neutral) renewable energy for Ontario Power Generation’s Atikokan station – now the largest power plant in North America fuelled entirely by biomass. The plant itself is a collaboration with the Fort William First Nation and has created a dozen new jobs in the area. Our innovative research collaborations with CRIBE and FPInnovations to operate a lignin extraction demonstration plant at our Thunder Bay kraft pulp mill to produce green bio-chemicals derived from wood, as a replacement for petroleum-based chemicals. Our support for academic research at Lakehead University, including aerial imagery and data in collaboration with CRIBE, as well as investigations into the environmental impacts of biomass harvest and wastewater treatment processes. There is going to be more and more power plants that adopt wood pellet fuel. Biomass will take a larger proportion of all energies.